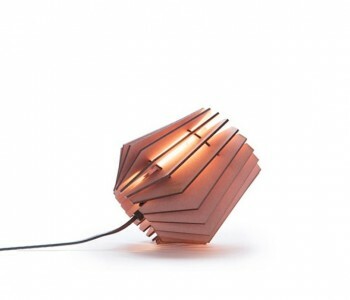 Van Tjalle & Jasper is the company of two young, talented Dutch furniture designers. With their knowledge and experience they create unique wooden interior items. This wooden Mini spot table lamp in aged pink by Van Tjalle & Jasper is supplied as a kit with MDF-wooden parts. Everything required to assemble the lamp is included in the kit. Construct your own Mini spot lamp with a little help from Tjalle & Jasper. They supply the materials, you do the work. Do it yourself! Tjalle & Jasper have had a long-standing friendship. Tjalle completed a course in Industrial Design and Jasper spent years working as a carpenter. In 2012, they decided to take the big step of starting a business together. 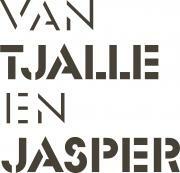 It proved to have been a good decision as Van Tjalle and Jasper grew to become a successful Dutch company with an outstanding brand recognition. Van Tjalle and Jasper have recently become the proud owners of a powerful laser cutter. This laser was also used by Tjalle & Jasper in the design of this mini spot lamp. The MDF used for the lampshade is cut using the laser. The heat of the laser creates beautiful dark edges around the MDF, which lends a sleek feel to this mini spot lamp. People that live in dark environments are more unhappy than people that live in lighter environments. Make yourself and the people around you a little happier by designing your own Tjalle & Jasper reading lamp with this DIY kit. Bring a little light in the darkness with this Mini spot lamp by Tjalle & Jasper. The mini spotlight is a very nice gift to family or friends, giving them the opportunity to go hands-on with the DIY kit. The Mini Spot table lamp is available in aged pink, dirty mint, soft grey and off-white – subtle colors that allow to combine. There are also two funny variants: the Spacey-spot that looks like a Lunar Lander and the Chicken-spot on wooden chicken legs. These models are only available in natural colour. 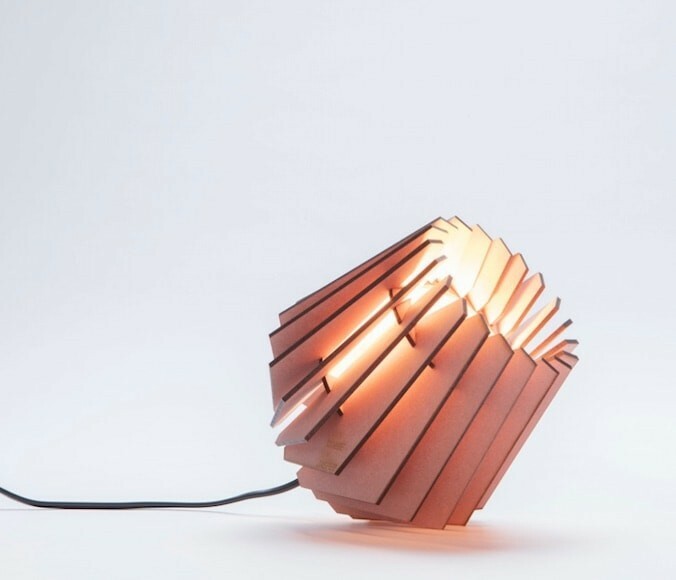 Inspired by this wooden lamp by Tjalle & Jasper? There might be other models more suitable to your wishes, or perhaps you are still looking to extend your lighting plan. Please also have a look at the other lights in this collection! Dimensions : 14 x 14 x 14 cm with a cord of 150 cm.